Langdale Vallotton, LLP was formed on April 1, 1972 by William P. (Bill) Langdale, Jr. and Joseph (Joe) E. Vallotton. 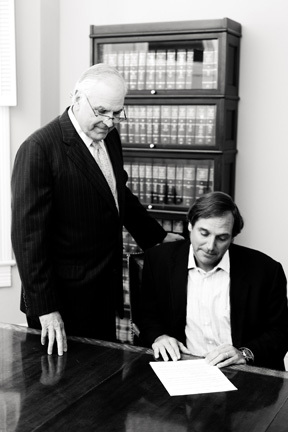 Bill and Joe quickly made a name for themselves in South Georgia as two of the most dedicated attorneys to their practice and their clients. It was not long before local businesses and individuals realized that such devotion to the law, and to the client, resulted in superior legal representation, and consequently, better results. Due to the devotion and unselfish pursuit of justice for its clients, the firm has more than quadrupled in size, and multiplied far more in annual business. The firm currently engages in practices ranging from catastrophic injury claims to some of the State’s largest commercial transactions to patent, trademark and copyright. 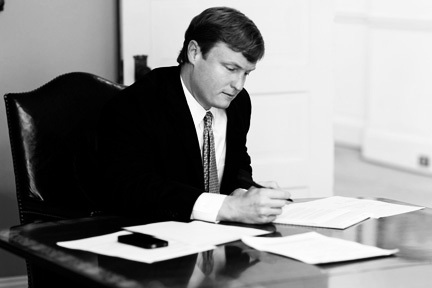 Langdale Vallotton is one of the leading law firms in South Georgia and North Florida. Its attorneys are known for their work ethic and dedication to their clients. More importantly, they are known for their honesty, integrity, and professionalism. Perhaps most rewar ding to us is the confidence that so many people and businesses place in our representation of their legal interests. Because of our dedication to our clients, their cases, and their needs, our clients feel proud to call us their attorneys. We are honored by our client’s loyalty and trust in us. Such trust and loyalty is evidenced by our representation of several of the largest banking institutions in Valdosta, the largest private hospital, one of the two largest medical groups, a majority of the developers, realtors, builders, accountants, and other professionals, and countless individuals and families who have suffered some catastrophic injury or incident in their life. While serving our clients is our primary goal, the staff at Langdale Vallotton, LLP and their service extend outside the courtroom and conference room. We are dedicated community volunteers whose commitment extends to extensive philanthropic endeavors, as well as donating time and needed capital to charitable causes and civic organizations. Our attorneys serve or have served on the following charitable boards: American Cancer Society Leadership Council, Lawyers Foundation of Georgia, Lowndes Associated Ministries to People, Lowndes Education and Improvement Foundation, Park Avenue Methodist Church Administrative Council, United Way of Greater Valdosta, Valdosta Junior Service League, Valdosta Junior Women’s Club, Valdosta State University Foundation.